Posted June 13, 2017 by admin & filed under Fishing Stories. 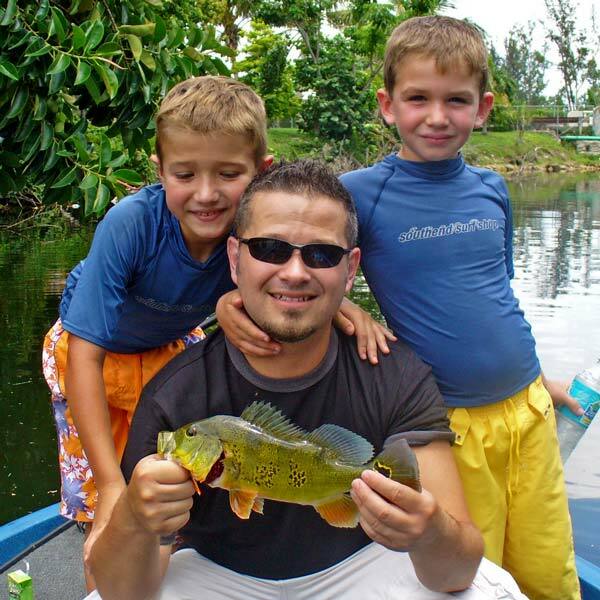 This month’s article is about a fishing trip with my son and my two grand children, Joshua and Aiden Hudon. They live in Pennsylvania. It’s a story about a young boy fishing and sharing his experience with all of us. 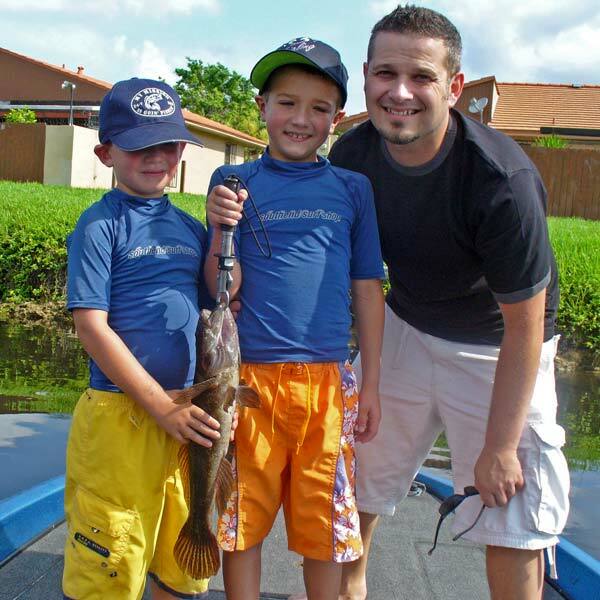 We always say, “Take a Kid Fishing” and make a memory. What we don’t say is, it makes for a memory for us too! Joshua was only 11 years old when this story happened. As you read the article, notice how he paid attention to detail. It shows his time spent on his fishing trip was so important to him, that he had to write about it for a class project. Today, Josh is 20 years old. He came to NC in May with a fellow college roommate. We fished the Tuckaseegee in Jackson County. They both caught trophy rainbows!! Another MEMORY. Today was the day to go fishing with my grandpa. I had been waiting all year to go fish with him. I go fishing every summer in West Palm Beach, Florida. We had to wake up early for the fishing trip. It took a long time to wake up my brother Aiden. My brother Aiden, grandpa, dad, and I got dressed, ate breakfast, and brushed our teeth. Before we could leave, we packed the fishing gear into the car. My grandpa said “Are you ready to fish?” Aiden and I said “Yes!” Now it was time to go! It took us fifty minutes to drive to the Bass Pro Shop where we met the captain of the fishing boat. The captain drove us in his car with the boat hitched on the back. It took forty minutes to arrive in Dade County where we would fish on canal number twenty. I was very excited to go fishing! The captain backed up the car so the boat would slide into the water. My grandpa, Aiden dad and I left the car and stood on the dock. We watched the boat trailer move into the clear blue water until the boat floated. The captain got out of the truck and walked back to the fishing boat. He grabbed a rope from the boat and tied it to a pole on the dock. Then we unloaded our fishing gear from the captain’s trunk and put it on the boat. Finally, we could go fishing. We drove the boat around the canal to find a fishing spot. Then we started to fish. I put fake bait on the fishing hook and cast my line into the water. After about two minutes, I felt a tug on the fishing line. My dad helped me reel in a medium sized peacock bass because I asked him to help me. First, we took a picture of me with the fish Then, I threw it back into the water. My grandpa helped Aiden catch a sheep head. My dad took a picture of Aiden with the fish and then he threw it back into the water. Next, we drove to a different fishing spot. While we were under a bridge, I saw a big fish swimming near the shore. I was thinking that I wanted to catch that big fish. I had to put the live minnow on the hook before I could cast the line into the water. I stood at the front of the boat and I quickly cast the line into the water. The fish saw the minnow and it bit the minnow’s tail and then the head of the minnow where the hook was. The fish started to swim left to right trying to get away. I reeled in the line and pulled the fish out of the water and on to the boat. The fish was 22 inches long and looked like a catfish. It was flopping around on the deck of the boat. The captain said “That’s a Big Mouth Sleeper!” I said “What’s a Big Mouth Sleeper?” He said “It’s a really rare fish and only grownups ever caught them.” I felt like I could catch anything. I was the first kid so far to catch a Big Mouth Sleeper. I felt famous. The captain took the Big Mouth Sleeper off of my fishing hook and put it on a bigger hook. My grandpa took a picture of me holding the Big Mouth Sleeper with Aiden and my dad. I threw the fish back into the water. After fishing, we drove back home to West Palm Beach to see my mom and grandma. I was so proud that I caught the Big Mouth Sleeper. After a couple of days, my family and I flew back home to Pennsylvania. The next week, I received a newspaper article from my grandpa. On the front cover there was a picture of my brother Aiden, my dad, and me holding the Big Mouth Sleeper. I read the article about me catching the Big Mouth Sleeper and then I called my grandpa to thank him for sending it to me. My mom and dad were so proud that I was on the front cover of the newspaper. 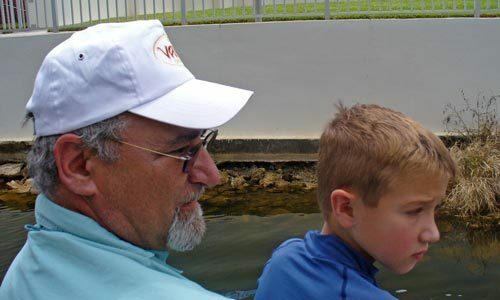 I was happy that I spent time fishing with my grandpa. I will go fishing again next summer. I wonder if the next fishing trip will have a twist like this one. In addition to attending Upper Providence Elementary School, Joshua enjoys playing soccer, going fishing, watching TV, and playing DS games. In the future, Joshua plans to be a professional soccer player or a police officer.